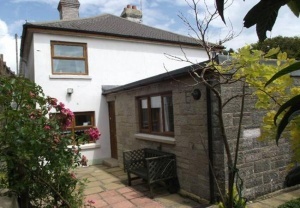 Charming three bedroom semi-detached Victorian cottage in upper Bonchurch. 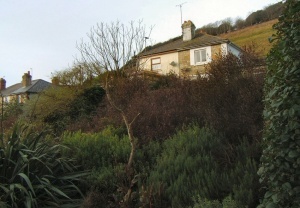 Sea views to the rear and an outlook up to St. Boniface Down to the front. 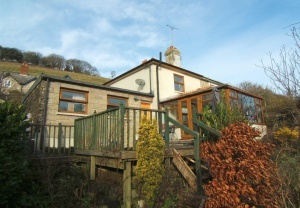 The property has been extended and modernised throughout yet still retains some original features. 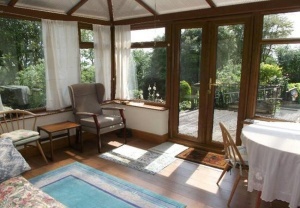 There is a conservatory and terraced decking ideal for making the most of the beautiful sea views. The garden is made up of different areas including a lawn and large summer house. 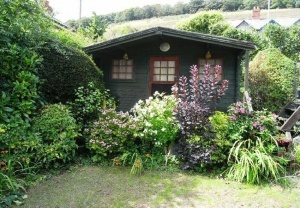 The cottage has double glazing throughout and gas central heating. 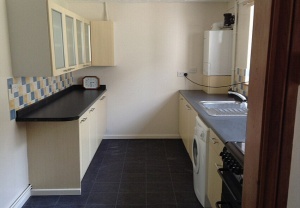 This property offers an excellent buy-to-let opportunity. 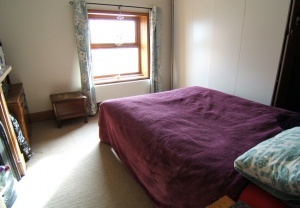 HALL:�br />Stairs to left lead up to bedrooms on first floor, door leading to back garden straight ahead, radiator. 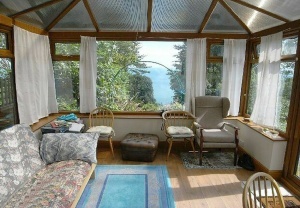 LIVING ROOM: 10� x 11�br />Original fireplace, radiator, sea views, double doors leading to conservatory. DINING ROOM:񃮓 x 11�br />Built in original fireplace, under-stairs storage, window to side aspect, radiator. KITCHEN:�� x 6��br />Modern fitted kitchen, wooden surfaces with white doors, Belfast style sink, overhead storage cupboards, free standing vintage style gas oven/grill, space for fridge freezer, boiler, radiator, window to front. CONSERVATORY:��x 11�br />Half brick half glazed UPVC double glazed windows with wooden framework, beautiful sea views and view of garden. 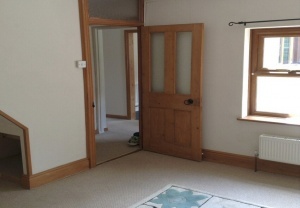 Double doors leading to large wooden decked area. BEDROOM ONE:�� x 12�br />Double bedroom with original fireplace, storage space, window to rear with garden and sea views, radiator. 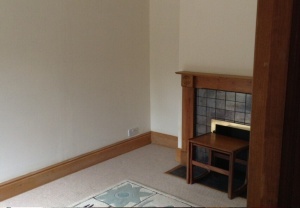 BEDROOM TWO: 9�x 12�br />Original fireplace, radiator, window to side. 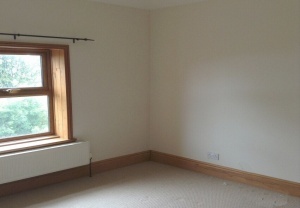 Single room, radiator, window to rear with sea views. BATHROOM: 6� x 5�br />Well presented downstairs bathroom consisting of low level WC, wooden panelled bath with shower head and tiled splash backs and sink, heated towel rail, frosted glass window to rear. 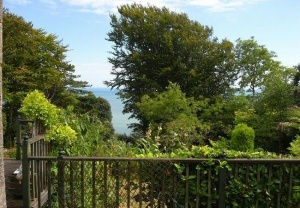 OUTSIDE:�br />Large decked area with lovely sea views, steps leading down to lower level with planted area and small pond, to the right is a level lawned area leading to the summer house which is a good size also enjoys good sea views. The summerhouse is fitted with shelves, electric sockets and lighting.